In the Eagle Vale Pro Shop, you will find quality golf equipment at reasonable prices. We frequently have specials on top-of-the-line equipment, so you can enjoy the great game of golf without having to go broke! 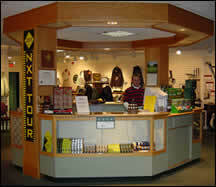 Below, you will find the current specials in our Pro Shop. If you don’t find what you’re looking for, please come back soon, and see what else is on special. Spend $299 or more on any equipment purchase (combine clubs to reach $299 is encouraged) AND get an 18-Hole Round with Cart for FREE (a $52 value)! Try that at a “Big Box” store. All Premium Drivers We carry Callaway, Cleveland, Cobra, Srixon, TaylorMade & Titleist and more. Putters and Wedges We carry ALL major manufacturers! All possible Loft and Bounce Angles Available. Balls We have all major ball manufacturers at the lowest prices in town. Both sleeves and dozens available. Shoes Footjoy, Callaway and Under Armour. Clothing & Outerwear SPECIALS!!! Antigua, Bermuda Sands, Callaway, Greg Norman, Foot Joy and Under Armour. Accessories A wide variety of accessories. Check out our accessory wall! GHIN Handicap Membership Regularly $60….League Members at 33% savings ($40). Year-Long Clothing Sales Save up to 50% on select items! Golf Bags Many bags are 15% OFF!! Callaway, Cleveland, Nike, TaylorMade, Titleist, Team Golf (NFL, MLB, NHL, Collegiate and many more, order your team today)! Iron Sets We currently have Demo sets and Overstock’s by Callaway, Cobra. Cleveland, Ttileist, Taylor Made, Wilson and more.